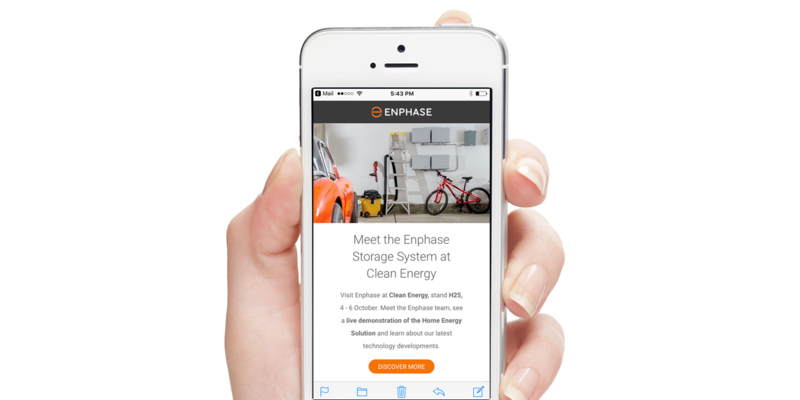 In order to drive the perception of Enphase as a technology leader, it was essential for the company to move beyond its static, billboard site and embrace the tenets of today’s user experience. At the same time, more friendly and approachable content was needed to address its widening audience of homeowners. 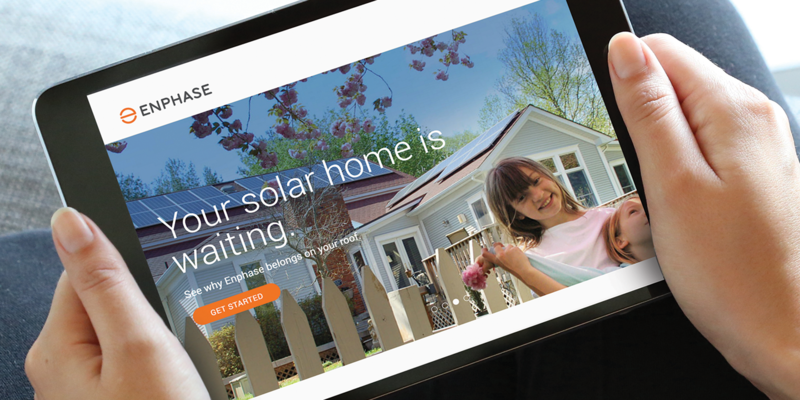 As creative director at Enphase, I drove the creative development process for a complete reimagining of the company's web experience. First and foremost, we needed to transition to a responsive design as more and more users where going mobile. Meanwhile, the voice, look, and feel of the site needed to connect with our key brand attributes – simple, smart, approachable. Through testing, we learned that over 70% of traffic came from homeowners, but we had no content for this audience. Consequently, we completely rewrote the site with the homeowner in mind. Meanwhile, we developed more friendly imagery to address this audience and drive a simple, straight-forward message. We began telling the story in more compelling ways, using interactive content to increase engagement. At the same time, we ensured content chunks were welcoming, easy to understand and consistent with our new voice. 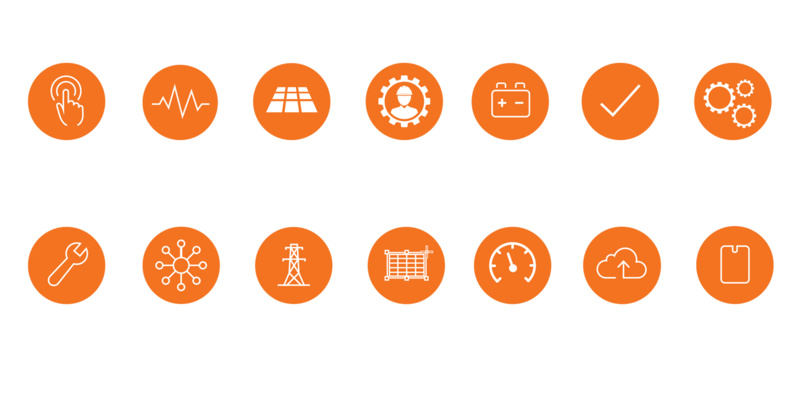 The drive to simplicity and consistency led to a reimagining of the entire icon system, from website to support to online applications. 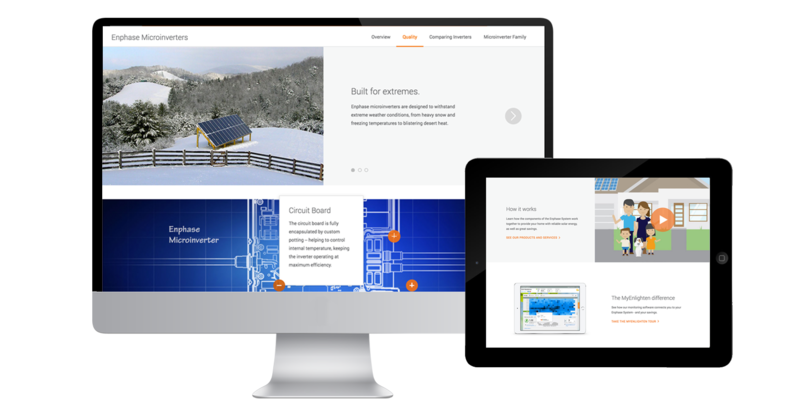 As part of the project, we also transitioned to responsive email communications, changing platforms and updating the look and feel to be consistent with the web experience. 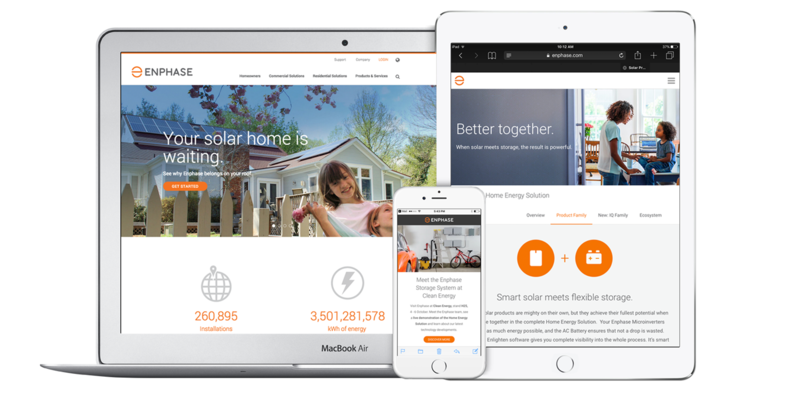 As the company’s offerings expanded, I was brought in to help reimagine two Enphase apps. 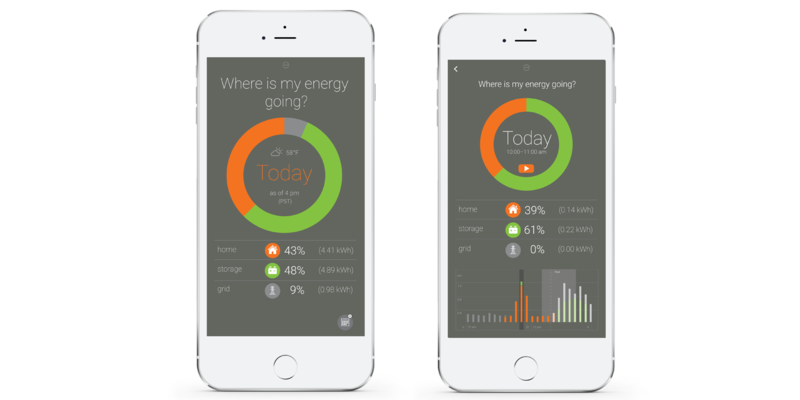 One served as a dashboard to expose a homeowner to his energy production, usage and storage. 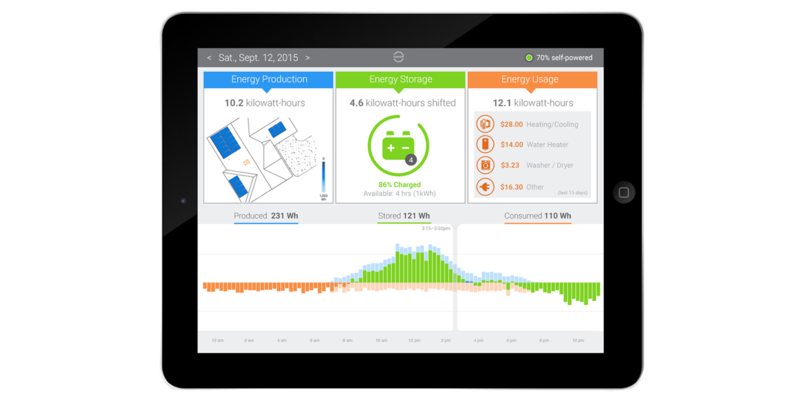 The other was intended to be more game-like, showing a homeowner in real-time, where their solar energy was going.